What a glorious day! What a glorious weekend. Crawly Senior and I had the pleasure of wattching the Cubs pound Pittsburgh 13-3 on Sunday, completing their second straight sweep of the Buccos. 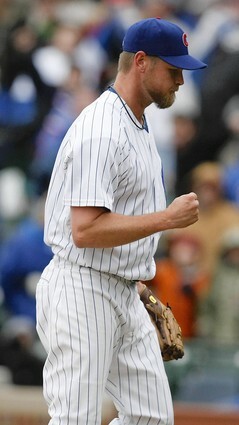 Not only that, but St. Louis got crushed and Eric Gagne blew a save for Milwaukee, putting the Cubs in first place!!! Hey Hey!! 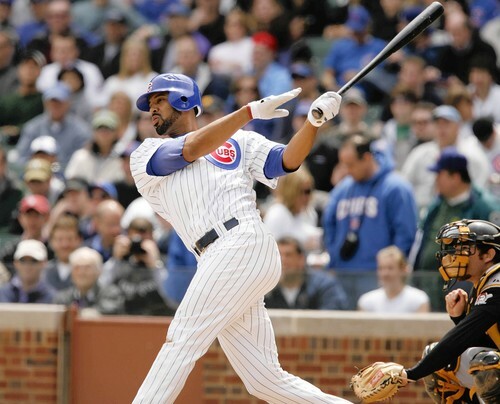 The Cubs offense is just clicking on all cylanders, as the Cubs hit 29 runs in the weekend series with the Pirates. The starting pitching is still not where it needs to be, but I am sure enjoying this April a ton more than I did last season. Listening to sports talk radio, I heard people wondering if this team is real or not, claiming that they are just beating teams with losing records. Look, the Cubs didn’t make their schedule and not only that, they are winning the games they are supposed to, something that hasn’t happened over the last few years. 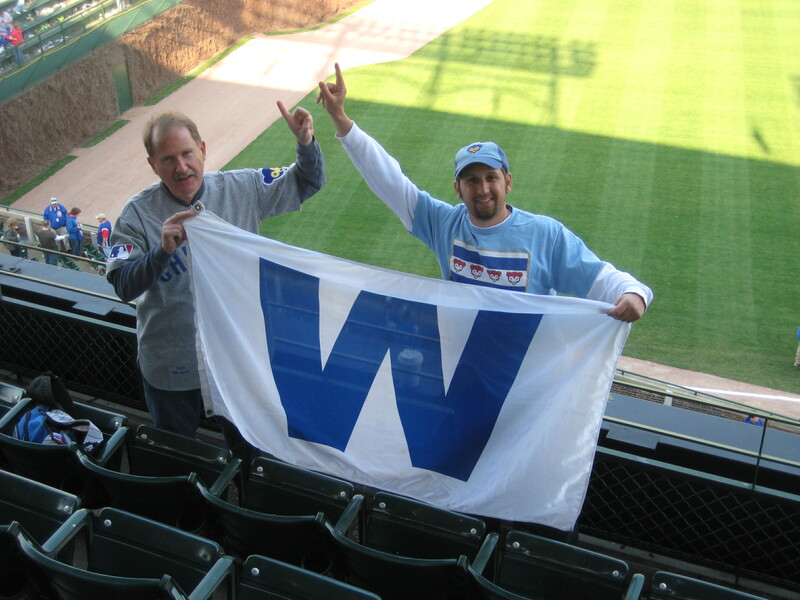 All I am saying is that I am happy that the Cubs are in first place. pitch. Theriot was up next, showed bunt, but the pitcher threw two pitches out of the strike zone. With a 2-0 count, Johnson was running, Threriot hit the ball to the right side of the infield, and Johnson scored from first with Theriot advancing to second when Nady’s throw to home plate was late. 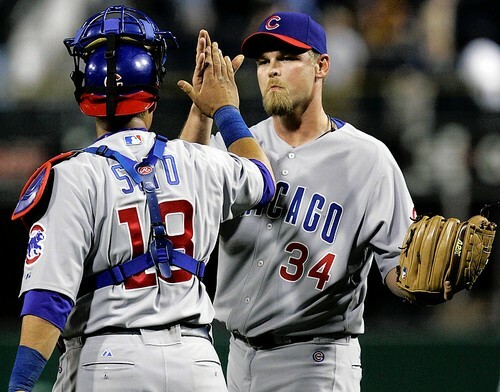 The Cubs are also a more patient team and that is allowing them to score more runs. Do you realize the Cubs are second in MLB in runs scored, third in hits, fourth in total bases, have the fifth highest in average, second in on base percentage, and second in on base plug slugging percentage? How about the Cubs being fourth in the amount of walks drawn? Still feel like that clogs the bases Dusty? The Cubs are also seventh in stolen bases. Lou Pinella and hitting coach Gerald Perry have turn this team from a bunch of hackers into a disciplined hitting team. but at the end of the day, there is only one stat in baseball that matters most: Wins, and right now, the Cubs keep racking them up. Now, the real test comes for the Cubs. Starting Monday, the Cubs have a two game series with the Mets, then fly to Colorado for another two game series. They travel to Washington for three (that one shouldn’t be difficult), then they play three with Milwaukee at home, travel to St Louis for three, Cincy for three, and then come back to Wrigley to fave the hottest team in baseball in the Diamondbacks and one of the toughest pitching staffs in San Diego, who will play in a four game series. The Cubs then have three more games at Wrigley, than go to Houston and Pittsburgh. When the dust clears on May 22, I believe this will really tell if the Cubs are for real or not. If they can stay close to the top of the division after this schedule, I like our chances. stupid thing? Yeah. Are we going to do stupid things in the future? For certain. 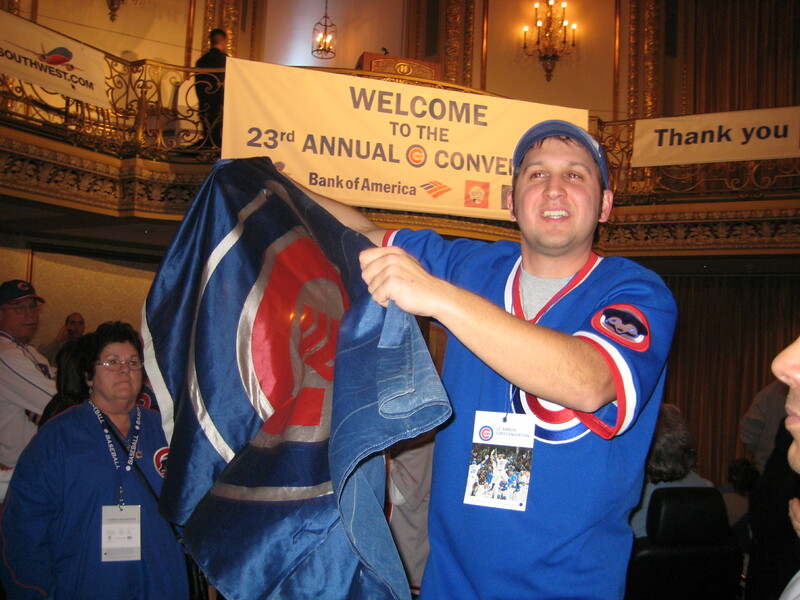 But we’re going to keep doing what we’ve always done; root, root, root for the Cubbies! And most importantly, we will follow this team anywhere in the world, and if you don’t like it, learn to deal with it. Whether it’s my cousins in Pittsburgh who weren’t even alive the last time the Pirates had a winning season to Reds broadcaster Marty Brennaman, Cubs fans keep getting hate. You hit the nail on the head by saying other teams’ fans are just jealous of us when we outnumber them at their ballpark or just because we’re the most loyal fans in baseball. I guess they’re just jealous their not part of Cubs Nation!